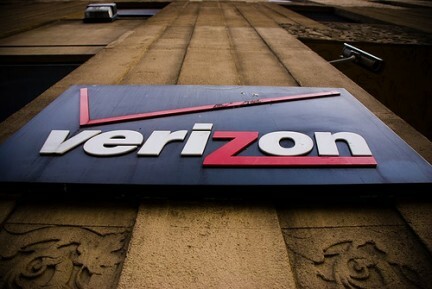 More than we expected, Verizon Communications released the Q3 results of 2013, which shows it has brought in 1.1 million new customers (retail connections) in which 927K were postpaid subscribers with 2 years contract. The total postpaid consumers number is raised to 95.2 million in third-quarter. In Q3 2013, Verizon Wireless sod 1M+ smartphones, where it activated more than 7.6M smartphones – 51% (3.9M) of those activations are of Apple iPhones. Last year, Verizon activated 46 percent of iPhones in total activations. Although, the new iPhone models launched on September 20, not all models reached the carrier and with limited numbers. And the company’s Chief Financial Officer Fran Shammo said that the limited supply of new iPhones caused the sales of smartphones to push to the next quarter. The limited supply mentioned here is obviously the iPhone 5s, by its overwhelming demand and low in supply. However, almost all stores in US has iPhone 5c in stock. Furthermore Apple already began to double the iPhone 5s productions and cut the iPhone 5c productions by half. Verizon hasn’t released the breakdown of iPhone sales in the earnings call but revealed that its revenue and operating income was $30.3 billion (up 4.4% from last year) and $7.1 billion (up 30% from last year) respectively. Further breaking down the earnings, it said that the wireless revenue and wireless service revenue both increased 7.2% and 8.4% to $20.4 billion and $17.5 billion respectively. Other than smartphones, the company has sold more than 370K internet gadgets such as tablets. Verizon Wireless’ LTE network is the largest and accounted for supporting the 64% of the total data traffic of the company, which now covers 500 markets and more than 300 million people. The company also promised to offer a new VoLTE smartphone to run solely on its LTE network to deliver voice over the LTE network. Analysts expect that it will be hard to match the AT&T and Sprint’s revenue growth of Q3 2013 to that of the Verizon’s 4.4 percent growth. Moreover, the carrier’s most concerned matter is the shifting of basic phone customers and older 3G phone customers to the low priced plans of T-Mobile, AT&T, Sprint and other competitors.